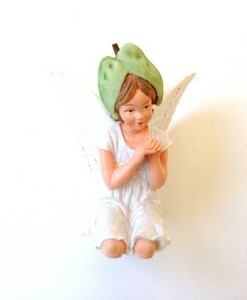 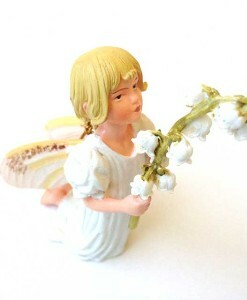 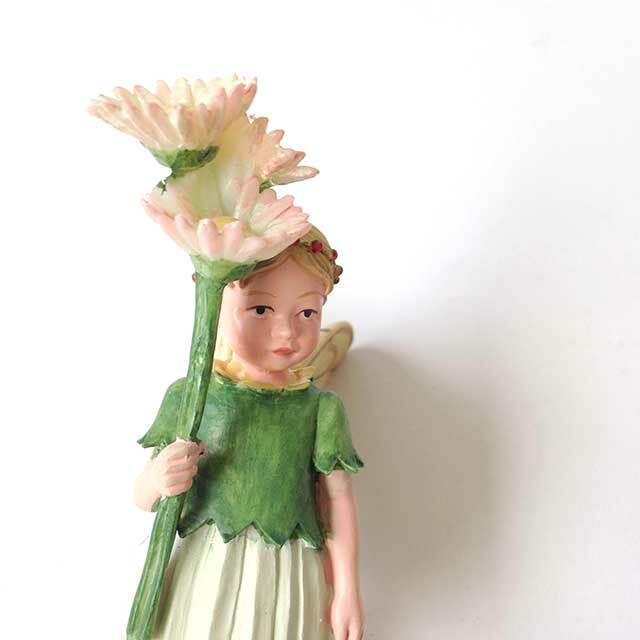 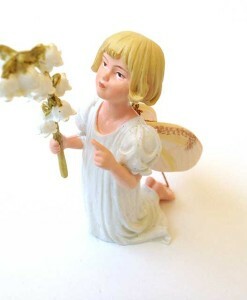 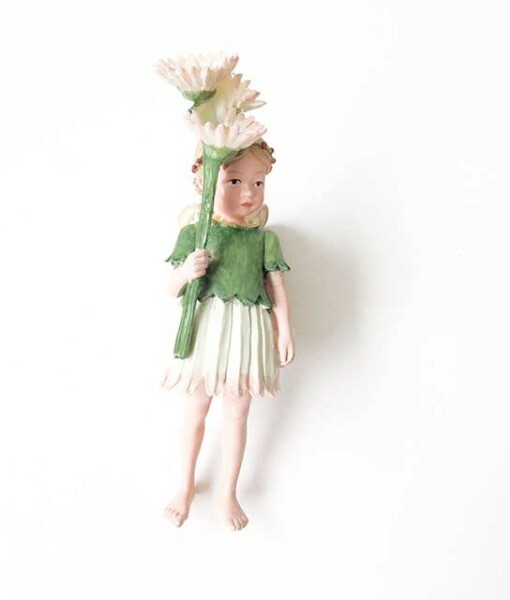 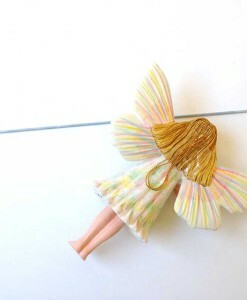 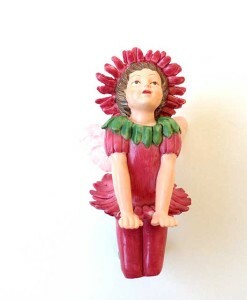 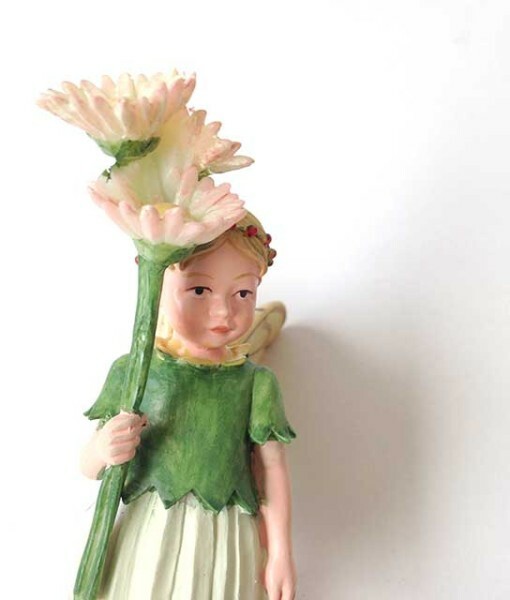 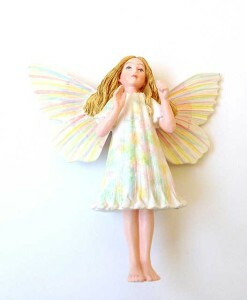 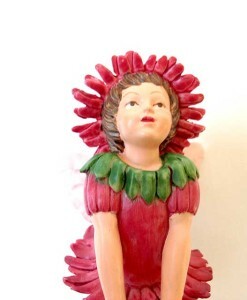 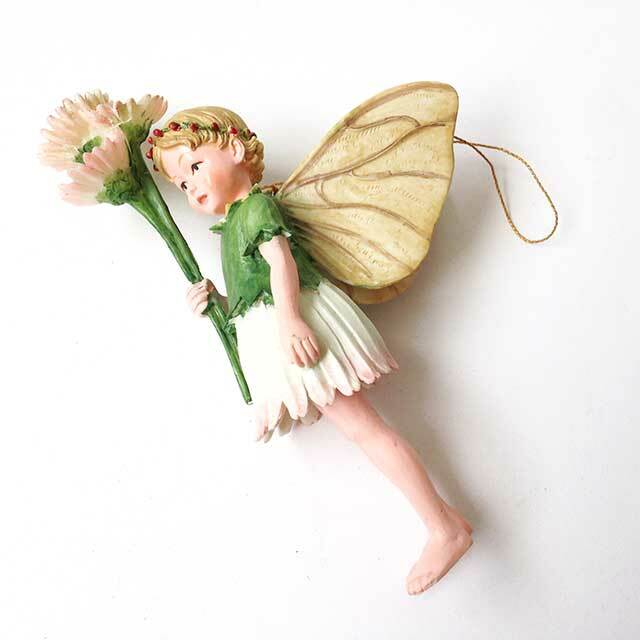 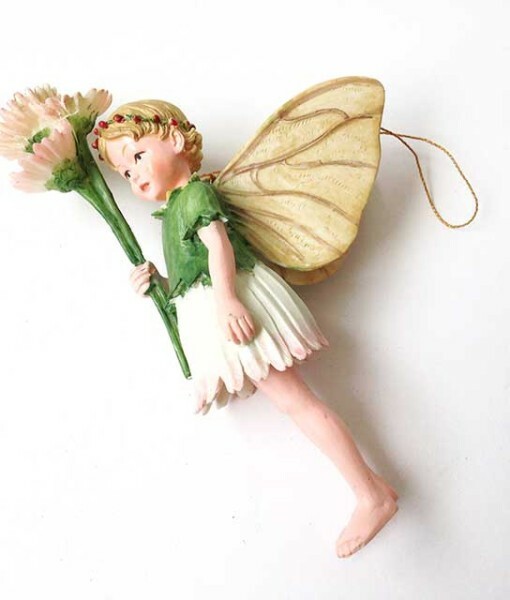 This sweet little English Daisy fairy figurine by Cicely Mary Barker is poised to stand in miniature gardens, miniature pots and along garden fences. 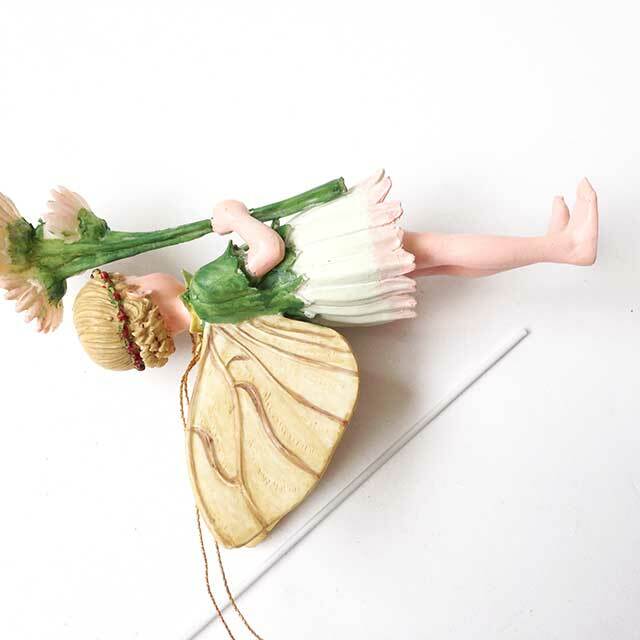 Includes string for hanging and stake for setting in garden soil. 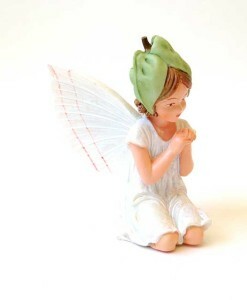 Dimensions: 4 3/8″ tall, 1 3/8″ wide, 2 5/8″ deep.